Education is a must for development at community as well as national level. Education is a key aid for transforming people into human resources which plays an integral part in the economy. 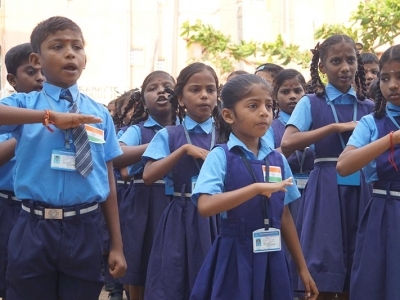 The education program of HOPE foundation, focuses on providing access to quality education to the underprivileged children HOPE foundation Matriculation school in Kannaginagar, Chennai. 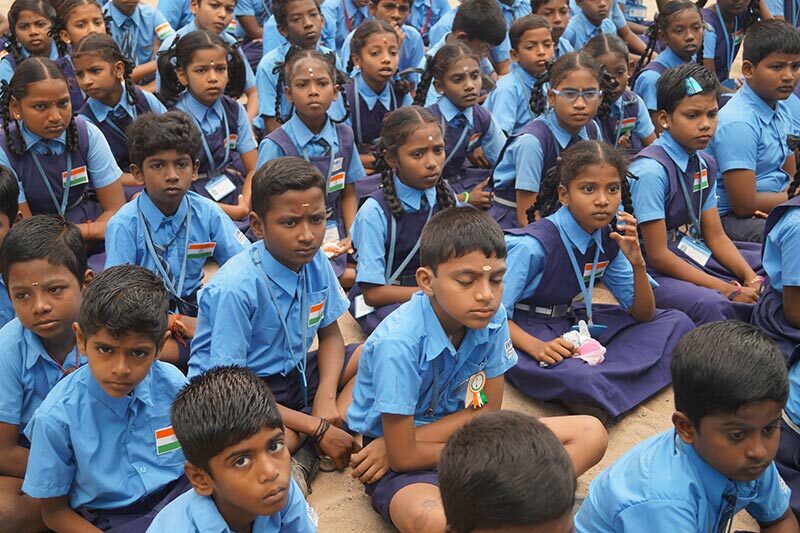 The school is situated in Kannaginagar Slum Rehabilitation Colony, one of the biggest Resettlement Colony in Asia. 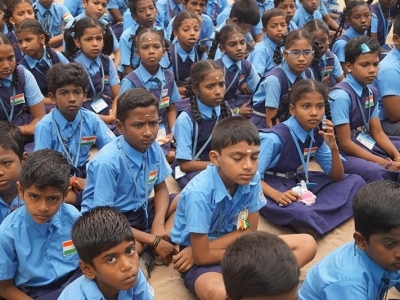 It provides FREE English medium education to children from the colony. 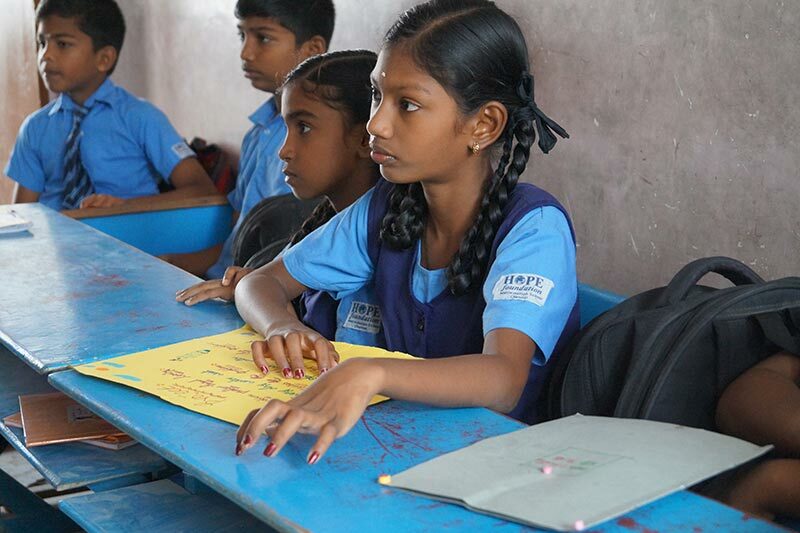 We ensure children come to school regularly and enjoy the entire process of learning. We also see to that the teachers are equipped with 21st Century skill sets to suit the dynamic needs of children studying in different classrooms. 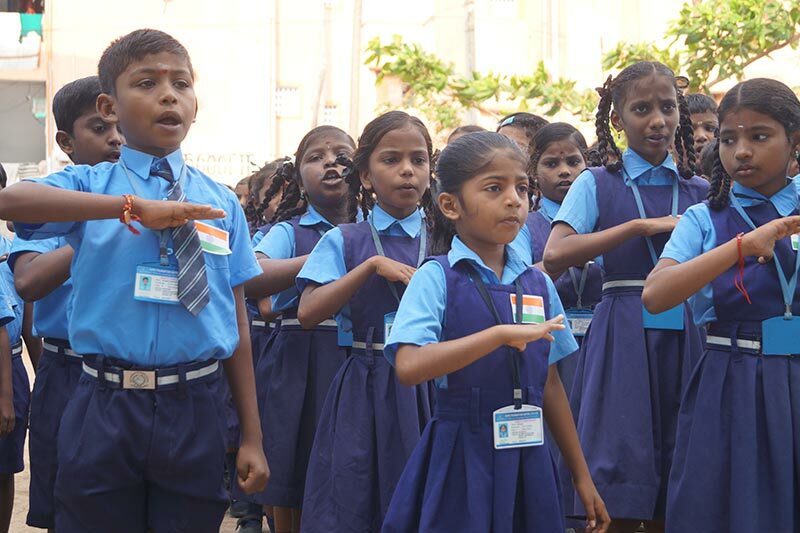 The school management takes ownership of the activities to enhance the capabilities of the children to progress and emerge as change leaders. The parents and the community is encouraged to motivate children to continue studying. 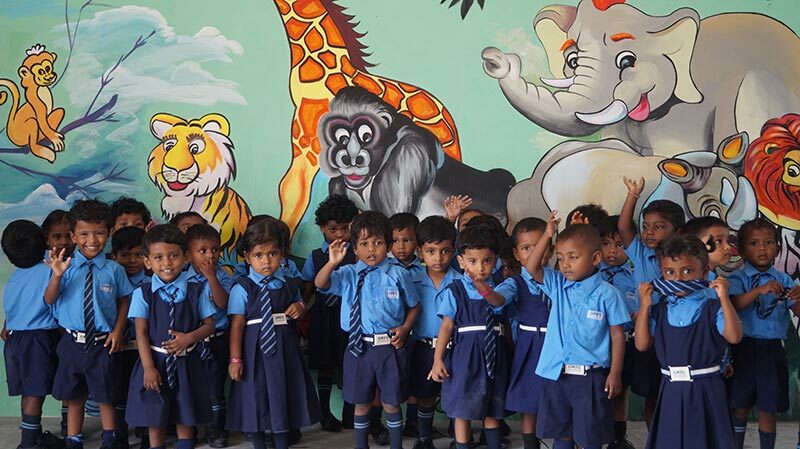 A total of 426 children are on the enrolled from Pre KG to X Std. Since 2015-16, professional development of school teachers on integrating technology into subject teaching is on with the support of DELL through DYL (DELL Youth Learning) Program. There has been a major pedagogical shift in teaching with emphasis on using technology to help engaged learning, focus instruction, advance professional development, support and continuously improvement in using technology products for teaching subjects.